No matter where you are, Hellfire can get you to where you want to be! Whether that is couch to marathon or simply to imrpove your quality of life, help is here. Muscle Imbalances come from many causes and past injuries. Let's work on fixing them and getting your body and posture back to its best state and optimal performance! Getting stronger was never so easy! Custom workouts and plans to suit you and your needs! And sports-specific plans for athletes wanting to get an edge on the field! The foundation of every great athlete is their ability to adapt to conditions and move through them. Let's make you faster and ready to deal with anything! If you're unsure about the best way to get into resistance training, I can help you start with simple exercises that will prepare you for better lifts later, and prevent injuries down the road. Add in flexibility and mobility and you will not only be stronger, but move better as well! From swimming to running and lots in-between, I can improve your performance and get you ready for your best season ever! 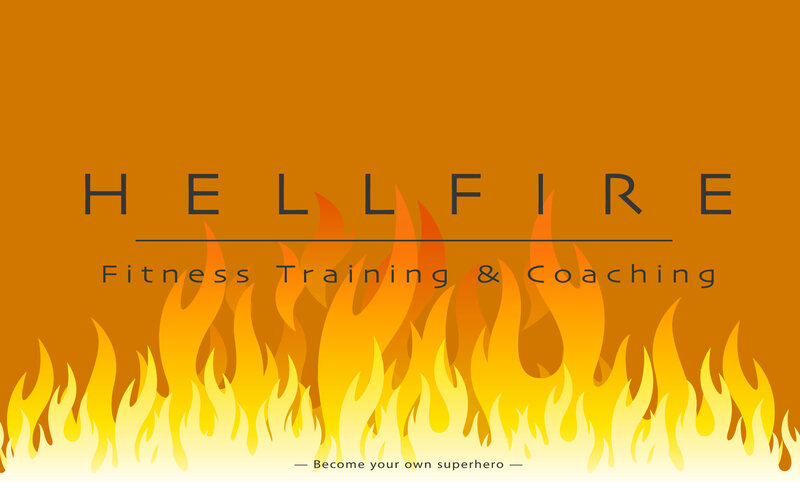 Hellfire is committed to providing you with the best means to achieve your most healthy self! I bring decades of fitness and anatomy knowledge to every session and will work to correct everything we can, and move you forward to a better you! Call, text or email to set up your first session!